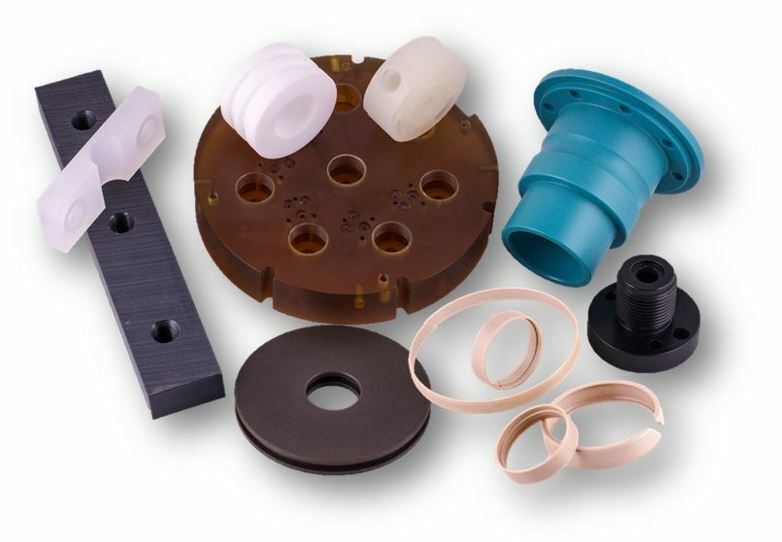 M&P can make custom Nylon 6 Machined Parts to your specifications or drawings. We have a plastic machine shop; Nylon 6 is one of the plastics we can use to make parts. The exceptional bearing and wear properties of Nylon make it one of the most widely used plastics in the world. Nylon is frequently used as a replacement for bronze, brass, aluminum, steel and other metals, as well as other plastics, wood, and rubber. Processing and machining of Nylon 6 parts take place in a completely controlled environment. Nylon 6 O-rings, Nylon 6 Seats, Nylon 6 Bushings, Nylon 6 Bearings, Nylon 6 Guide Blocks, Nylon 6 Wear Pads, Nylon 6 Washers. M&P keeps Acetal in stock so that we are ready for immediate production of your Nylon 6 Machined Parts. Nycast® is a registered trademark of Cast Nylon Ltd.
Nylatron® is a registered trademark of Quadrant Engineering Plastics Products.